Finally again a victory for the Gasp-boys. Diego Perotti realized the penalty in the 30th minute after the foul of goalkeeper Marchetti against Niang: 0-1 in Stadio Olimpico. Genoa refused several times to decide the match definitively by scoring a second goal so till the last minute we had to suffer. 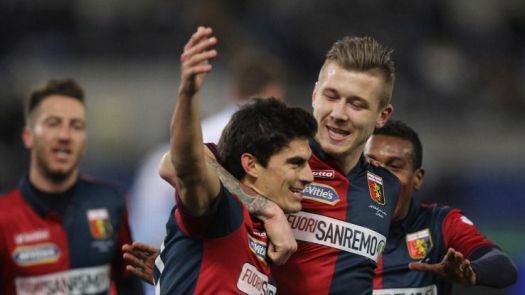 With this victory Genoa has beaten Lazio 8 times in a row from season 2011/2012 till now. 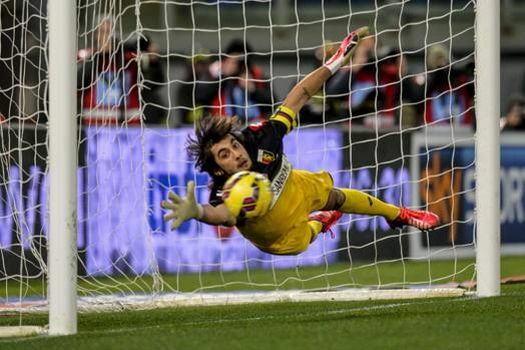 Our team of captain Mattia Perin is now 7th in the standings with 32 points in 22 matches. Strange but true: so far we booked the same results as in the first part of this season against Napoli (1-2 defeat), Fiorentina (0-0 in Florence and 1-1 in Genova) and Lazio (1-0 victory). The match in Verona against Hellas ended in 2-2, Sunday we want to break with the statistics and win in Marassi.